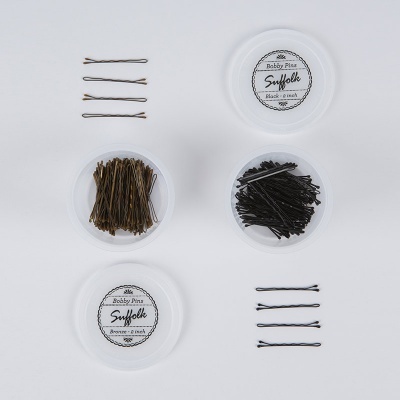 • With the high quality you can expect from Suffolk, these bobby pins are known for their excellent hold and firm grip on hair. • Measure 2" in length. • Available in Black or Bronze. • Quantity - approximately 100 pins per container.